6-year-old Joshua Birshan showed you’re never too young to support your hospital when he gathered relatives and family friends for an ambulance themed fundraiser in memory of his grandfather. After decorating the house with first aid signs and stethoscopes, guests competed to build the best model ambulance out of junk in 30 minutes. 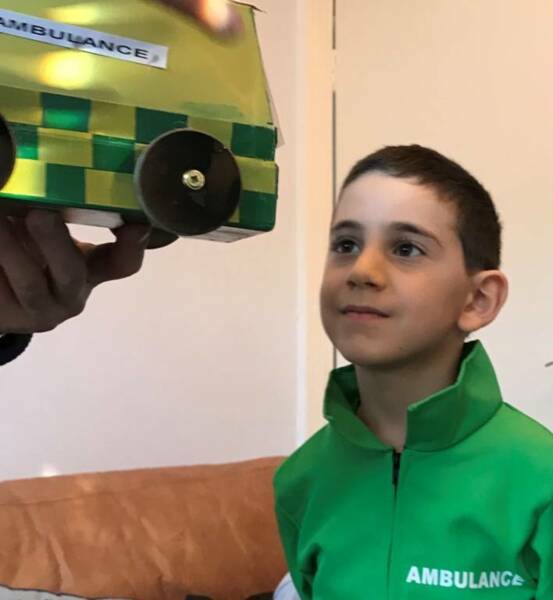 Joshua’s brother, Thomas, took the prize, with his ‘Cambulance’ - a futuristic robot ambulance with a cocktail stick camera. Joshua’s party was inspired by his late grandfather, Jamil, who was treated at Charing Cross Hospital before he passed away. Sophie, Joshua’s mother, said: “The doctors and nurses at Charing Cross hospital were always very caring and supportive towards Jamil and Joshua's grandmother, as well as providing excellent quality of care. The party raised £100 from guests’ donations and Joshua is already planning the next one, with a brand-new theme – competitive cupcake decorating!